A great way to give recognition to employees for their "Excellence In Service." 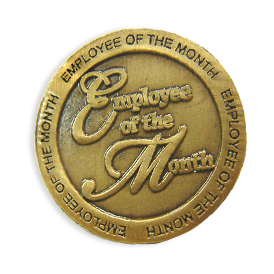 The employee of the month pin is made from our Die Struck Two Tone process. Minimum order is 25 pieces.